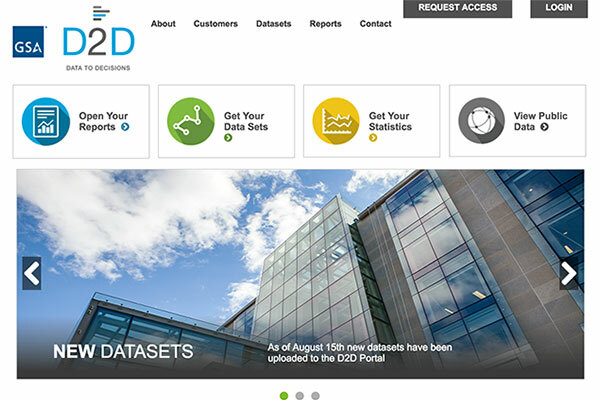 This week marks a special anniversary for GSA as we celebrate our Data-to-Decision (D2D) platform since its launch in the fall of 2015. D2D is GSA’s data management platform that collects, manages, and analyzes complex data to enable data-driven decision-making. Over the past year, GSA has made major strides forward in understanding how accurate and insightful data can help us be a more data-driven organization. I am proud to say that D2D now has more than 1,000 users and over 100 published dashboards across GSA! Yesterday, we held a D2D workshop to discuss its successes and accomplishments, but there is still plenty of work to do as we continue to link disparate collections of data across organizations, increase transparency, and focus on the safety and security of GSA’s data assets. GSA Administrator to have informed discussions using the Travel Dashboard with mayors and county executives regarding their local real estate footprint. Office of Governmentwide Policy (OGP) to deliver Federal Real Property Profile tools and Administrative Benchmarking Initiative dashboards to the federal government community to allow for comparison of mission-support performance at agency level across the government and monitor trends in service cost and quality to measure progress against performance targets. The dashboards also allow for estimation of the return on investment for mission-support services using cost-quality comparisons as well as the identification of drivers of customer satisfaction within agencies. Federal Acquisition Service (FAS) to develop and share dashboards that streamline the process of purchasing products and services for the federal government and are designed to help key decision makers gain an understanding of buying behaviors to support customer engagement. Some key analysis that can be performed when reviewing the dashboards include future potential procurement needs, trends in utilizing FAS solutions, future potential procurement needs and recommended improvements using FAS solutions. Public Buildings Service (PBS) to manage more efficiently on federal government new construction and leasing projects through the utilization of Office of Design and Construction and Leasing dashboards within the D2D portal. Managers of government-wide FAS categories to leverage data about agency spend, geographic location, and contract vehicle types. As we strive to become a more data-driven organization, D2D is changing the way leaders discuss issues and drive to decisions. We are saving time and effort by moving away from paper spreadsheets and briefing decks. Now, senior leaders and managers across the agency rely on dynamic visualizations to discuss service level agreements, performance commitments, and status updates. D2D allows us to see data in real-time, have productive conversations, make data-driven decisions, and predict outcomes so that we can best plan and prepare for the future. For more information about what D2D can do for you, please visit d2d.gsa.gov or contact via email. This post was originally published on the GSA blog.